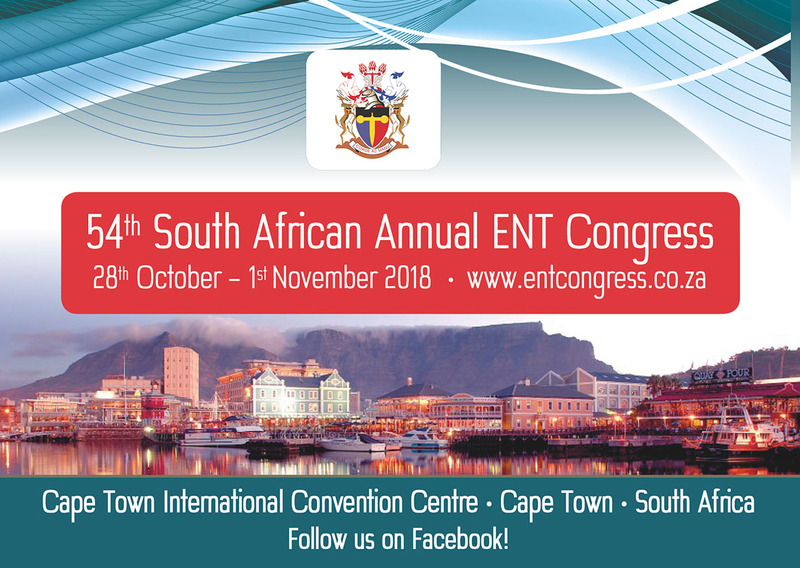 The 54th annual South African ENT Congress will feature local and international specialists in the field. Concurrently, there will be a World Congress on Cochlear Implantation in Emerging Countries at the same venue, from 31 October to 2 November. The event organisers have assembled a very exciting smorgasbord of a programme covering topics of interest and importance to all. Sunday the 28th will feature visionary talks looking into the future of hearing and otology. There will be a combined opening ceremony of the ENT Congress and the World Congress of Audiology, topped by an ethics discussion and a special musical event. On Monday 29th and Tuesday 30th, there will be a plenary (single venue) main course of otology relevant to every ENT surgeon, utilising the expertise of world authorities in otology, including inter alia Professor Stephen O’Leary, who will discuss his pioneering work on medical treatment of inner ear conditions and Professor John Dornhoffer, who is renowned for his presentations on ossiculoplasty and cartilage use in ear surgery. On Wednesday 31st and Thursday 1st you can choose as your taste dictates, between Rhinology, led by Professor Ben Bleier of Harvard; Head and Neck surgery featuring Professor Petra Ambrosch, known for her work in laser head and neck surgery with Professor Wolfgang Steiner; or Cochlear Implantation.